There is no need to maintain an independent file storage system, and you can forget about having to pass around documents using email. Easily attach documents to your NAV records making them accessible when you need them, without having to search for them, and making them available to other NAV users. NavXtender does not require you to make any modifications* to existing pages in NAV. Save significant time by not having to search for files. Files are stored with your NAV record so you, and others, always know where they are. Don’t lose another document. By attaching your documents to NAV records they are available when you need them. Fire and floods can’t destroy your digital documents like they can paper. Reduce your carbon footprint by eliminating the need manage paper documents. Easy to use. Even easier to set up. There is no need to involve your IT department. 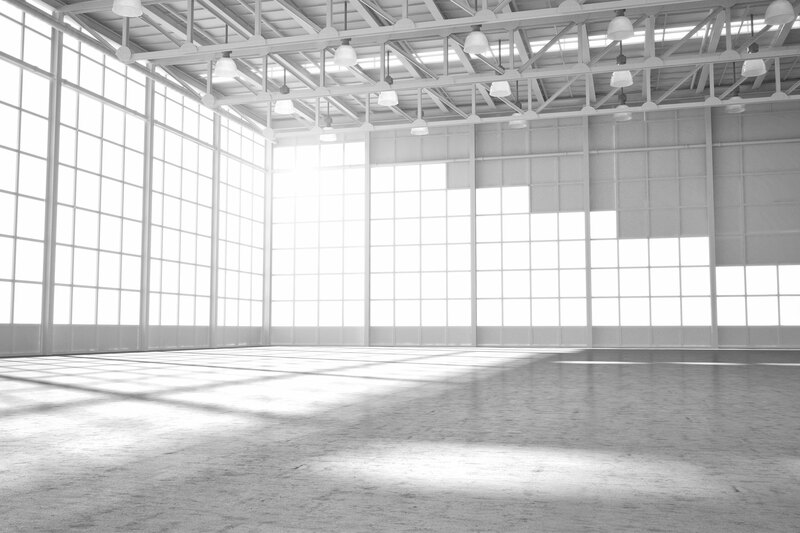 Setup is quick and simple – you’ll be using NavXtender in under two minutes. You don’t need to make any changes to pages in your NAV platform for it to work. Just download NavXtender, install the file and start dragging your docs. 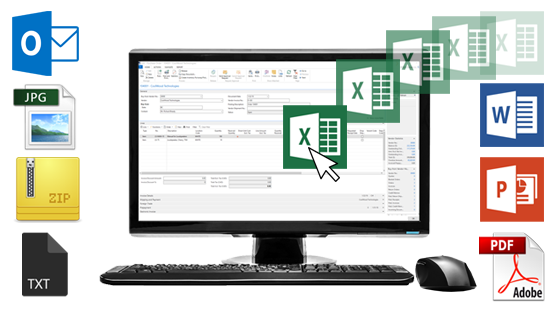 NavXtender is a free utility available to anyone who wants to store documents in Microsoft Dynamics NAV. Share this webpage with your colleagues and departments within your company including purchasing, sales, operations and more. Deploy NavXtender across your entire organization. 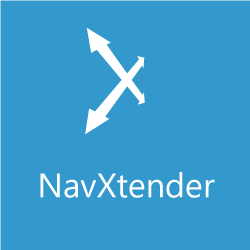 NavXtender is easily deployed as a stand-alone utility or integrated with NAV Record Links. What operating systems support NavXtender? NavXtender is designed to work on either Windows 10 or Windows Server 2016. NavXtender may work on other operating systems. What languages does NavXtender support? Currently NavXtender supports English, Spanish (Mexico), and French (Canadian). NavXtender is easy to install. Simply download the installation file from the Insight Works’ website and install it. That’s it! 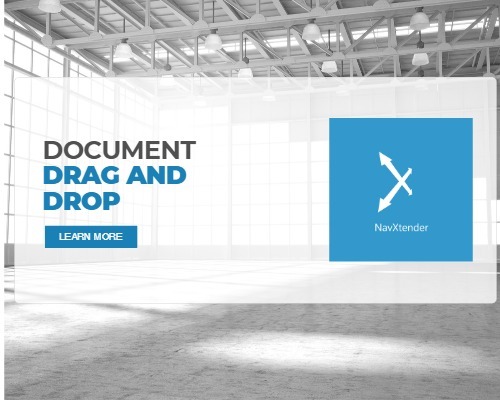 After installation, to attach documents, you easily drag files onto your NAV records. The integrated version of NavXtender requires someone with administrator privileges to import a codeunit into Dynamics NAV. Watch the installation video. What document types can I attached to my NAV records? NaxXtender will accept all common document types including .pdf, .docx, xlsx, pptx, .html, .txt, .zip, .jpg, .png, .gif, and more. You can even drag email messages directly from Microsoft Outlook and store them as an .msg file within NAV. Why don't I just store my documents in SharePoint or on a file server? You can but it is more efficient to use NavXtender. By attaching your documents to NAV records, there is no need to access another application to view related documents. The documents are easily accessible, don’t get misfiled and others can access them. What is the difference between the stand-alone and integrated version? How many documents can I attach to a NAV record? There is no limit to the number of documents that can be attached to a NAV record. Yes it is. NavXtender is free to use for personal and commercial use. Anyone planning to install the utility must download their own copy from Insight Works. Insight Works does not permit the sharing of the installation file. How do I install the integrated version of NavXtender? If you want to take advantage of NAV’s built-in “Record Links”, you’ll need to install the integrated version of NavXtender. The process isn’t overly complicated however you may need to enlist the help of your IT support. For complete instructions, review this video. Looking for support? Check out the NavXtender knowledge base. Get NavXtender now. It’s free! * Installation of the stand-alone version of NavXtender does not require support from your IT professionals. The integrated version of NavXtender does require someone with administrator privileges to import a codeunit. Learn more about versions here.